We are a small batch hand craft roastery, that has made its long journey from warm and sunny Australia to the beautiful midieval city of Erfurt in the heart of Germany. We passionately roast an ever changing selection of the world's finest coffees. As a specialty coffee roastery with a passion for rare and high end coffees our commitment to freshness and quality is at the heart of everything we do. It is no secret that in order to provide quality at a very high standard only the best of everything is good enough. As self confessed perfectionists we strive tirelessly to achieve this goal without compromise. So you can be sure you end up with the epitome of this wonderful beverage. Years and years of experience in the international coffee scene have taught us that only the freshly roasted product can showcase the true character of the coffee. That's why it is so important to us that you get your freshly roasted beans within short time after roasting. For the true coffee experience we recommend enjoying our coffees within eight weeks of roasting. Global ecosystem health and sustainability are at the core of our philosophy. Because of the impact that plastic and foil packaging solutions are having on the environment we have chosen to sell our quality beans in certified sustainable 100% biodegradable coffee pots. 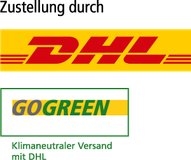 Through our packaging, zero green house gas roasting methods and trading practices we do everything we possibly can to contribute to this urgent cause. To share our passion for rare and exceptional coffees hand roasted to their most perfect form we source only the finest green beans from reputable farms from around the globe. Each coffee is mindfully selected and carefully roasted to perfection with the lowest possible environmental impact.  Behind each pot of Epitome Coffee Co beans stand 25+ years international experience in the specialty coffee industry and a lot of hard work by dedicated individuals. From growing regions, farming methods, bean quality over individual roasting methods to coffee brewing, water quality and cleanliness of the machines - every detail is important. Through our experience of many years we know that besides all that the freshness of the beans is playing a vital role. FRESHLY ROASTED. | FRESHLY GROUND. | FRESHLY BREWED.